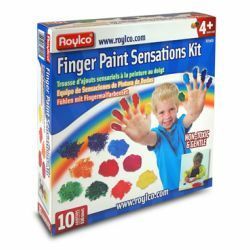 Finger paint with more than your fingers! Visually impaired or sensory challenged students will find the textures interesting and helpful. The ten sensations are fine grit, squishy, soft, frictionless, dissolving, roly-poly, stringy, goopy. Mix up the washable additives and use right away or store overnight in an air tight container. Includes teacher guide with ideas to invigorate finger painting. 30oz. 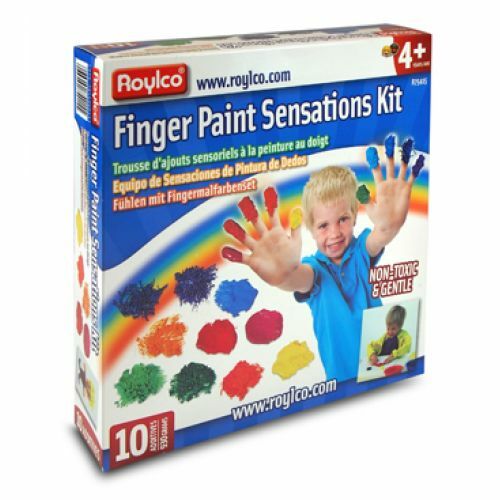 10 finger paint additives. Ages 3+.